Just looking at iPad and iPhone, that's 56% of Apple's sales. All Macs put together? Only 20%. Granted 20% of $26.7 billion in sales is still $5.3 billion, but the iOS crew gets most of the attention these days. It shouldn't come as a surprise that when Apple launched its 2011 MacBook Pro lineup last week that it did so with little fanfare. There was no special press event and no video of an unusually charismatic man on a white background describing the latest features of the systems. All we got two weeks ago were a few pages describing the high level features of the lineup, a short outage on the Mac Store and five new configurations available for sale. Apple tends to not mix architecture updates and chassis changes. The 2011 MacBook Pro lineup is no different. 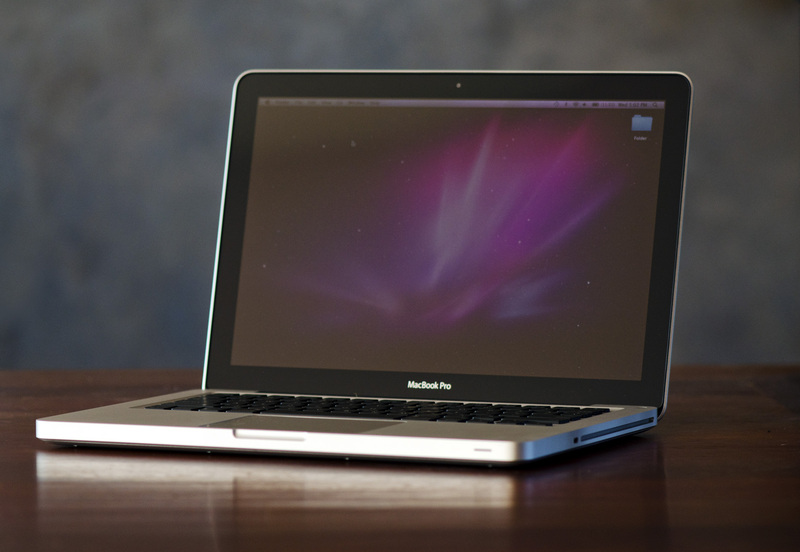 These models fundamentally implement the same updated unibody shell that was introduced in 2009. The term unibody comes from the fact that the base of the chassis is machined out of a single block of aluminum. There's no way to gain access to the MacBook Pro's internals from above, you have to go in from below. As a result there's absolutely no chassis flex or squeaking while you pound on the keyboard, use the trackpad or just interact with the part of the machine that you're most likely to be touching. Apple has been shipping unibody MacBook Pros since 2008 and from my experience the design has held up pretty well. The biggest letdown in the design has been the hinge connecting the display to the rest of the chassis. I haven't had it fail completely but I've had it become frustratingly loose. Even brand new, out of the box, the 15-inch MacBook Pro will have its display move by a not insignificant amount if you tilt the machine 90 degrees so that the display is parallel to the ground. A number of readers have written me over the years asking if Apple has improved the locking ability of the hinge in each new version of the MacBook Pro. It doesn't seem to be any better with the 2011 model—sorry guys. 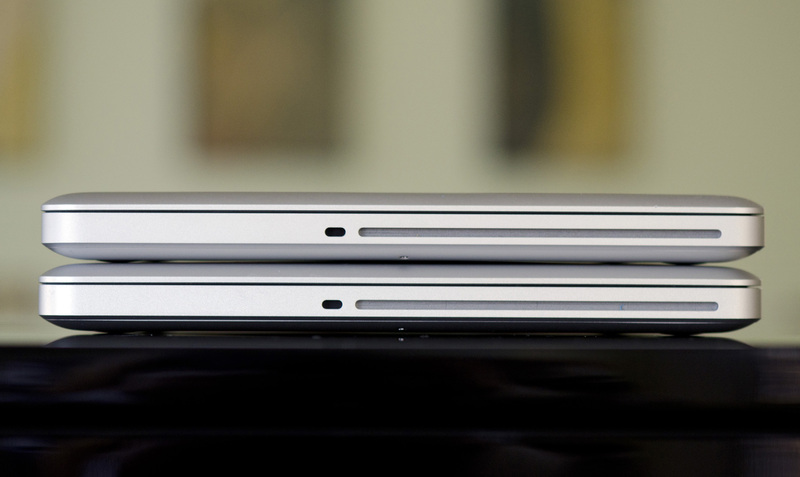 Other than screen size, ports and internals, there's nothing that separates the 13-, 15- and 17-inch MacBook Pros from one another. They all feature the same excellent backlit keyboard (keyboard size is constant across all models) and a variant of the same high quality display. 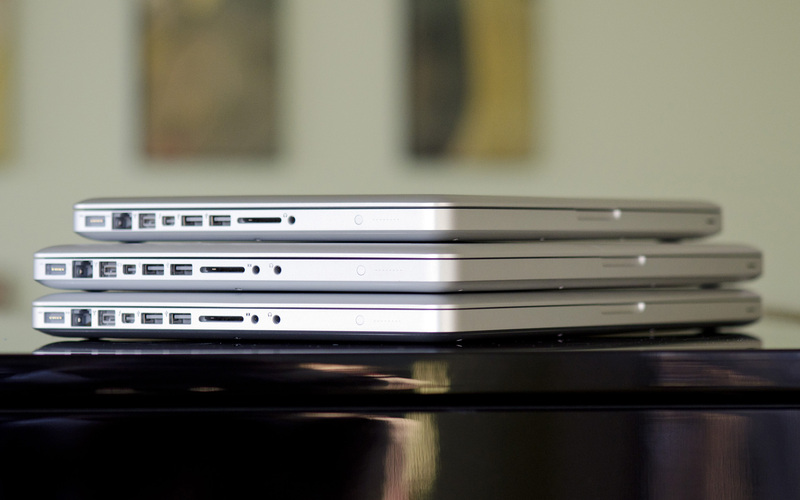 All of them have the same front facing 720p camera and the same large glass-covered trackpad. Battery capacity hasn't changed compared to last year, although power consumption on some models has gone up (more on this later). The new MacBook Pros are still equipped with DVD drives and thus Apple still distributes OS X and the application preload on a pair of DVDs. I was hoping Apple would go to an all-USB distribution starting with the MBA but it looks like we'll have to wait for another generation of Pro systems before we see that.